Come and claim your right for greater happiness and find your place of Power, born of Love & Compassion. "Re-Creation" on Cyclades is an unique combination of exquisite holiday and deep diving into depth of your psyche in order to create a new start - for yourself and for the Earth. Imagine what it would feel like to live in alignment with your Soul’s intention, and contribute to the thriving of future generations. Claim your right for greater happiness and find your place of Power, born of Love & Compassion! Birth Into Being in Africa! Join us for a profound experience of reformatting your nervous system, recoding destructive patterns and establishing intentions from a place of consciousness. If you would like to see more photos from Kisslegg, please click on the link to our Flickr account here. There is a profound relationship between the way humans are born and the way we treat our environment. From conception, gestation and birth through to early childhood, a consciously supported beginning of life is crucial to the future of civilisation and the Earth. When we celebrate our capacity to welcome and love the next generation, we discover wholeness, relationship and a desire to care for our environment. It will be a multi-faceted event incorporating keynote presentations, classes and participatory workshops led by leading teachers, practitioners and academics as well as cultural and social events. 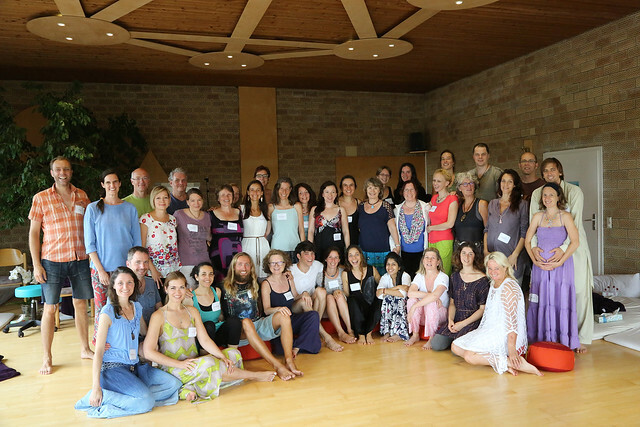 This conference will generate a rich vein of extraordinary learning, insight and expertise that will nourish and support: parents and prospective parents; professionals involved in the care of babies and families; ecologists involved in the care of the earth; and therapists, psychologists and activists of all kinds who want to participate in a critical discussion and exploration of the evolution of humanity. For details of registration and programme start time see here. Bookings to be made directly on Findhorn Foundation website. 26 years ago, when I just came to America and was learning about American Holidays, I thought that it was finally one Holiday I could honestly relate to, as I naturally assumed it was celebrating women who have given birth. Compared with Halloween or Thanksgiving, which I could never understand, it felt wholesome and right. In Russia, those days we knew nothing about the American life, given the Iron Curtain. It took probably ten years before somebody accidentally broke the spell for me, that it had nothing to do with childbirth. (Regarding the other two holidays, I got used to them, but still didn’t find an adequate explanation of what exactly is being celebrated. With Halloween, nothing can really justify the volume of creepiness and the amount of sugar fed to little children all at once; with Thanksgiving, for all the obvious reasons - given the history of what was done to the Native population of this land, and the poor animals that are being slaughtered in such vast numbers all at once in honor of this Holiday.) Nevertheless, I hate to miss a good party, so I happily use any excuse to meet with friends and share a good meal. Musings aside, it is the time of big and small changes and shifts here at the Birth Into Being Central. Lily, in whose capable hands the main office thrived for the last two years, is being called to explore Central and South Americas and bring Birth Into Being in Spanish to where it’s being invited. She is leaving as of tomorrow to travel, and learn, and teach, and play… and I know where ever she will go, she will bring her exquisite wisdom, beauty, skills, and huge heart, and then some! Blessings on your journey, sweet sister! We have two new amazing additions to our organization to take care of it’s growing needs: Louise (Ireland) and Charlotte (Prague). Turns out, long distance is not an issue in this age of technology! Given that we have two monthly conference calls anyway, available to all members, we just add the assistance of technology to our staff meetings, too. The new crew is bringing their new ideas and skills, which I’m sure will bring our organization to yet another quantum leap. I absolutely love to witness how it all unfolds PERFECTLY, as I myself, step way back and minimize my involvement to a bare minimum. I will still be teaching one 16 day training per year, and let our many fabulous Birth Into Being Facilitators take over the rest of the schedule. I am so, so, so very happy about it! I am thankful for the past two years I have gotten to steward this Newsletter! Now, my life calls me to step out of my role as Director of Communications with Birth Into Being. I will be traveling in Central and South America to help bring this work into Spanish. 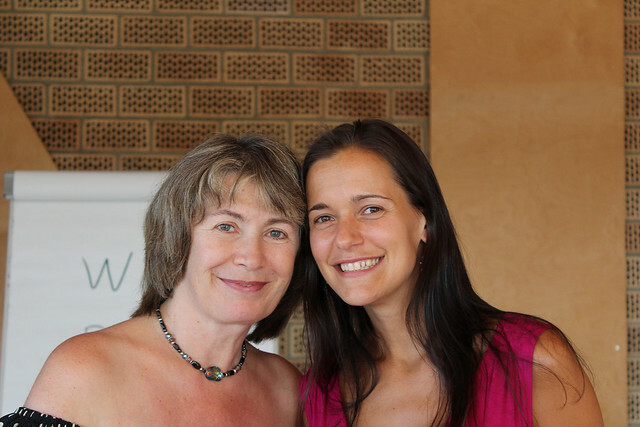 I am happy to introduce to you the talented Charlotte Kostelkova, who is taking over my position at Birth Into Being Central. Welcome Charlotte, we are so lucky to have you! As Lily is leaving the Birth Into Being office, I felt like I would like to get involved more with Birth Into Being and finally I am taking over Lily's position. I am genuinely looking forward to meeting and communicating with all of you and helping to spread this amazing method. I can deal with your inquiries in English, French or Czech. Please note that in order to observe industry best practices, our Newsletter Service provider will not send to info@emails. Role-based email accounts (like admin@, help@, sales@, info@, mail@) are addresses that represent different functions at organizations, and typically go to a group of recipients - not a particular person. If you have a role-based email, please give us an alternative so we can update your email account on file. If you are interested in making a difference in creating a better birth experience for women all over the world, I would highly recommend subscribing to the Better Birth 360 World Summit Interviews for 2015. Nicholas Olow who is the creator and founder of Better Birth 360 just interviewed over 32+ leading birth professional experts all over the world including Elena on how to promote a natural, calm, comfortable, intimate, positive, and empowering birth experience. 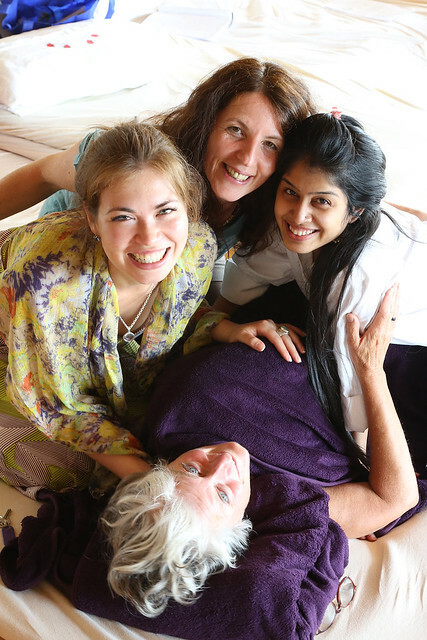 Dr. Sarah Buckley, Penny Simkin, Debra Pascali-Bonaro, Marie Mongan, Hermine Hayes-Klein, Gail Tully, Patrick Houser and SO MANY MORE were interviewed exclusively on the Better Birth 360 World Summit and gave some priceless information on how to promote a Better Birth Experience. These timely and exclusive interviews are now available for a very reasonable, all access monthly rate by clicking here. Trending Testimonials about the Summit! "I want to thank you for doing this awesome work, all this information is pure gold!" "You have assembled the BEST list in birth professionals to interview that I have seen in a long time. I have been enjoying each one so much!" Don't delay and get your Full-Access Pass Today in order to help promote a better birth experience for women all over the world! Thank you for supporting my efforts to navigate a complicated legal situation between myself and the California Board of Nursing, and keep my Chico California home birth service, Sacred Ways Midwifery, open for business. There is still not a “final outcome” to this journey, but I do have some updates I would like to share. First of all, the donations I received from the Chico benefit concert and the Gofundme website have covered my legal expenses and the fines I am to pay the Board of Nursing. My family and I are deeply grateful for the relief of such a stressful financial burden. Meanwhile there are many positive steps being taken to change laws and regulations for Midwives in California. AB 1308 has been tabled for the year, but it unanimously passed the State Assembly, and will be on the ballot again in 2016. In the Superior Court of California, a judge ruled that the Board of Nursing must allow nurse-midwife Yelena Kolodgi to continue her home birth practice while on nursing license probation. This took a year-long battle to get her back to work after her probation began, but hopefully sets a precedent for other midwives (such as myself) placed on probation. On September 2, many experts and midwifery care advocates will be speaking at the Board of Nursing meeting, calling on the board to work WITH midwives instead of AGAINST them. The media has been alerted and is beginning to cover this issue. Thank you for standing with me, and with California mothers and babies. This video carries a message for the healing of our internal and planetary waters. One of the members of MaMuse, Sarah Nutting, will be walking on a pilgrimage for water in California this September. You can learn more about the Walking Water pilgrimage here. In memory of WAYNE DYER who passed away on August 30th, you can watch his MOVIE "MY GREATEST TEACHER" for free until September 15th. August 30, 1974 was, in fact, what Wayne considered the most important day of his life. It was the day that Wayne went to the grave site for the father he never met in Biloxi, Mississippi. After going to his father’s grave, he wrote Your Erroneous Zones in 14 days, and his life changed forever. Wayne passed away exactly 41 years after the most important day of his life. The movie My Greatest Teacher shows the amazing events that took place in order for Wayne to even get to his father’s grave and how it changed him forever. To watch the movie, you can click on the link here.